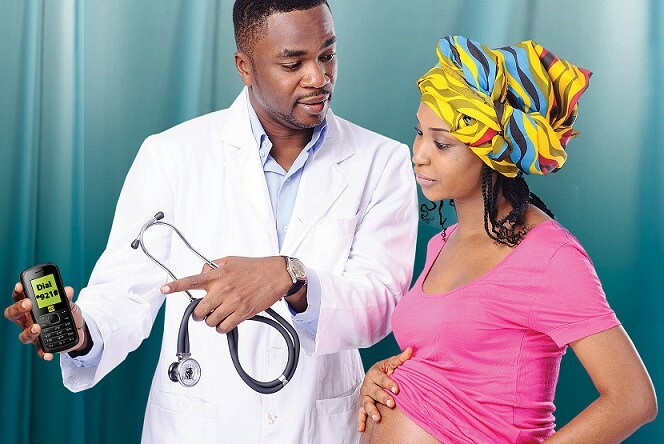 MTN Business has thrown its weight behind the fight against maternal and infant mortality in Nigeria with the launch of MTN Audrey Care, an all-inclusive maternal and child healthcare service. Offered in collaboration with The Audrey Pack Company, and supported by the GSMA, MTN Audrey Care has as its primary aim the reduction of maternal and child mortality, as well as the improvement of maternal and child health and nutrition behaviour. The service provides women trying to conceive, pregnant women and nursing mothers, vital information on diet, exercise, supplementation, exclusive breastfeeding, immunization, child growth and lots more. A key benefit of MTN Audrey Care is that it offers subscribers a pregnancy insurance, which provides cover for a free ultrasound scan and insures against premature delivery, among a host of other benefits. In addition, every woman on the service gets a free Audrey Pack – a selection of maternal and newborn healthcare products, such as diapers, baby cream, baby soap, disinfectants, etc., from reputable brands. Subscription to the service can be done by simply dialling *921# and a service charge of N100 a week will be deducted. Benefits of this service include a pregnancy insurance cover, a free Audrey pack (a selection of maternal and newborn healthcare products) and valid health and nutrition support information, which has been endorsed by the Nutrition Division of the Federal Ministry of Health. Subscribers receive support information based on the profile the subscriber provides after dialing the activation code. A pregnant woman, for instance, receives support information tailored to the stage of her pregnancy, helping her to know what to expect every step of the way. MTN Nigeria is once again blazing the trail with Audrey Care; a service that millions of women in Nigeria, especially those in the low-income bracket, will truly benefit from. Women who are not on the MTN network can also benefit from the service by simply purchasing an MTN SIM card to take advantage of the many benefits that MTN Audrey Care embodies.